Sterilization excellence is practiced in our office. We make sure that this aspect of Balhoff Orthodontics has the most up-to-date equipment and monitoring. 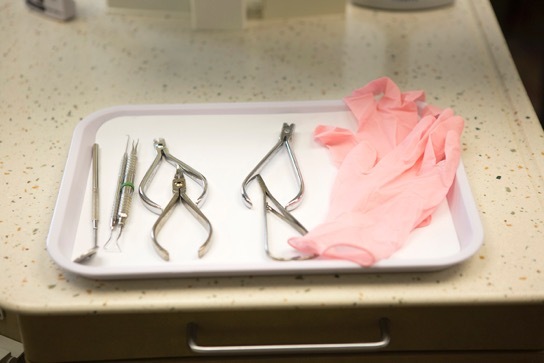 We meet the sterilization and disinfection standards of the American Dental Association (ADA) and abide by the guidelines of the Occupational Safety and Health Administration (OSHA). New gloves and masks are used during treatment for each of our patients. Our instruments are heat-sterilized after each patient, disposable items are used wherever possible, and each treatment station is thoroughly disinfected between patients. We want your comfort and safety protected while you are in our care. Our sterilization lab is convenient to our treatment area, and we would be happy for you to visit it when you are in the office!